Baskin Robbins has finally opened a store in the Netherlands! After an elaborate lunch at the TGI Fridays restaurant, I still found some space for dessert. Previously, I have visited Baskin Robbins ice cream shops in Japan and in Korea, but in my own country, there was no sign of them. 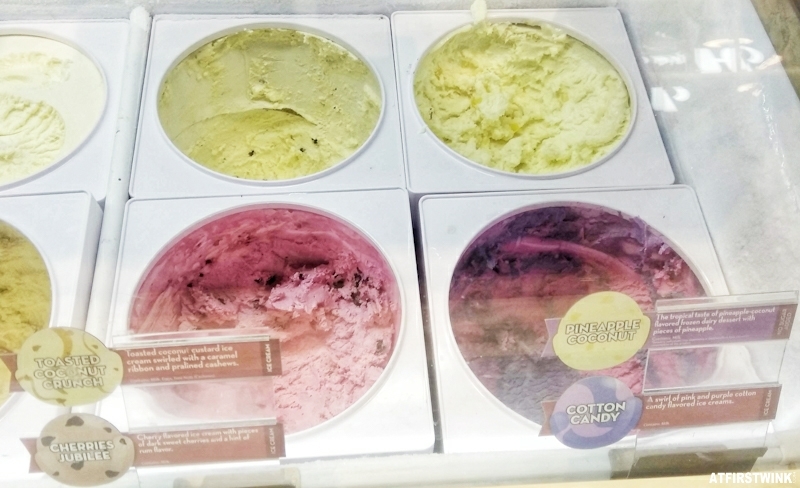 Although we have a couple of great gelato shops, the interesting and original ice cream flavors from Baskin Robbins is something that I still missed. Where is the Baskin Robbins ice cream shop in Utrecht? 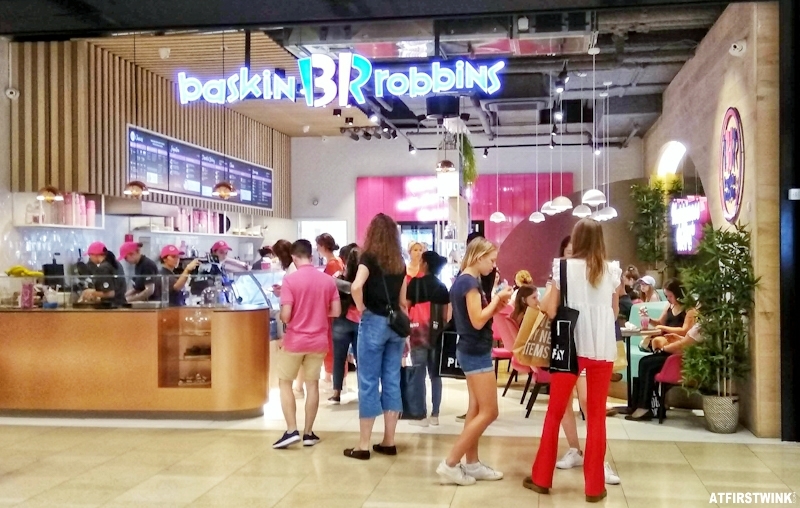 The first Baskin Robbins ice cream shop in the Netherlands is located on the ground floor and close to the "Stadskamer" (inner courtyard with many eateries and a water fountain) in the Hoog Catharijne shopping mall in Utrecht. It is on the right of the Burger Federation restaurant. If you enter the Hoog Catharijne shopping mall from the Utrecht Central Station entrance, you need to keep walking straight. On the path on the left is the Dunkin Donuts store, the Normal store, and the Mediamarkt and the path on the right takes you to the older part of the shopping mall with stores like the Action store and the Albert Heijn supermarket. After passing by the H&M, C&A, and WE stores, you will get on a walking bridge with a view on the "Stadskamer" (shown before in this blog post). Keep walking straight until you see the Bershka and Stradivarius stores. In front of those stores, you can find an escalator to the floor below. Once you get there, you need to walk in the direction of the Zara Home and Zara Man stores and you should see the Baskin Robbins store in the path on the left. What kind of ice cream flavors do they have? 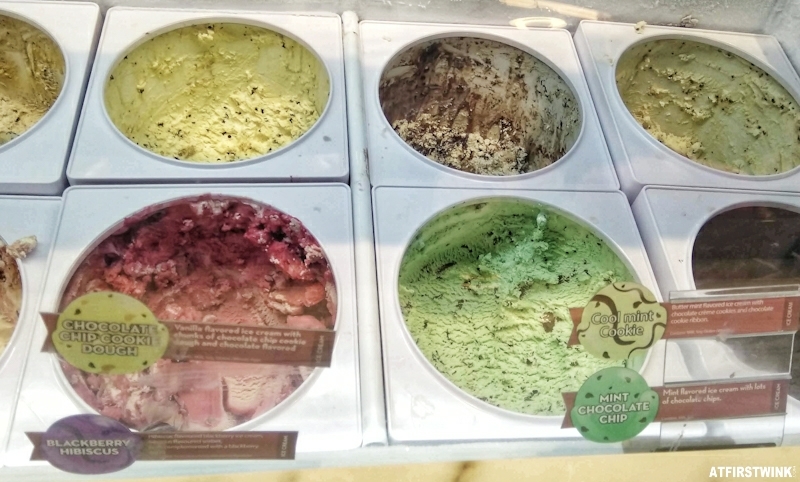 In the Baskin Robbins ice cream shop in Utrecht, they have 31 different ice cream flavors (one for each day of the month). The flavor of the month, which keeps changing, was Blackberry Hibiscus (blackberry ice cream with hibiscus flavor, hibiscus sorbet, and a swirl of blackberry sauce). 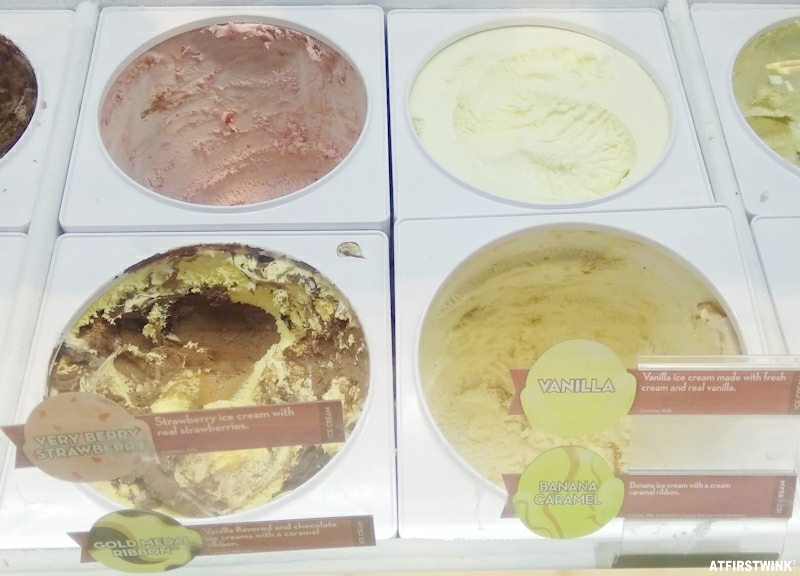 You can find the available ice cream flavors on their official website. 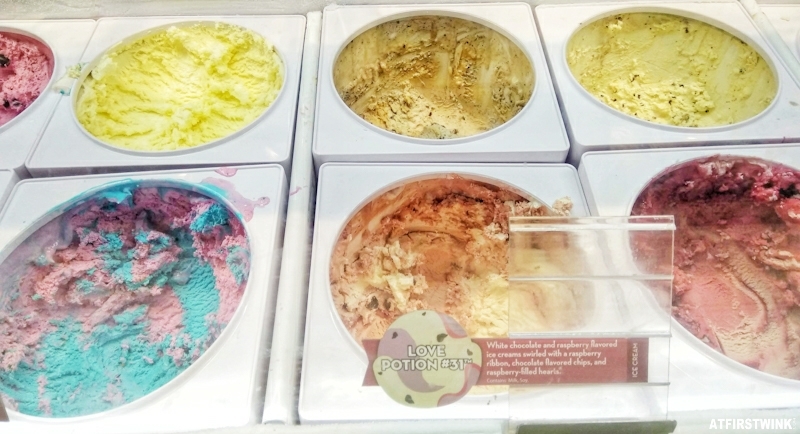 I wanted to try every flavor, but I settled for a double scoop of American Birthday Cake and Love Potion #31 for €4.50. 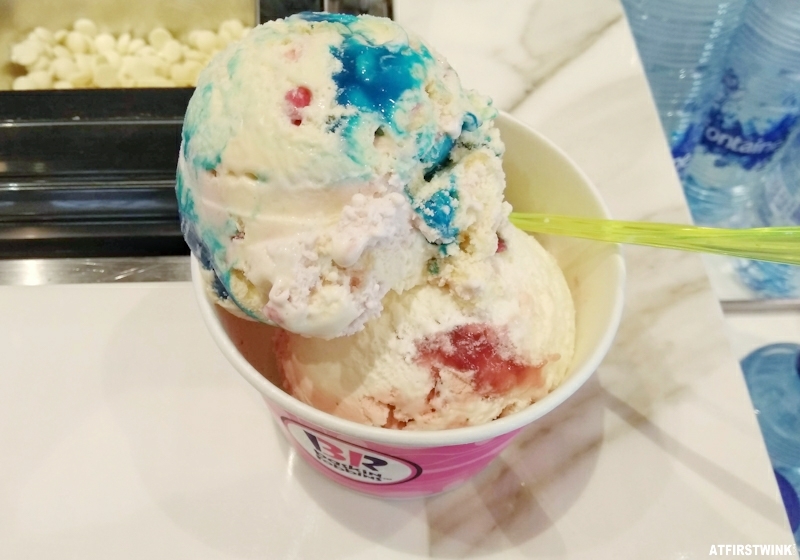 American Birthday Cake is a mix of strawberry ice cream, cake flavored ice cream with pieces of cake, a blue swirl with whipped cream flavor, and red crunchy candies. Love Potion #31 is a mix of white chocolate ice cream, raspberry ice cream, a raspberry swirl, crunchy chocolate pieces, and chocolate hearts filled with a raspberry sauce. I liked the American Birthday Cake ice cream the most (although the blue coloring of the swirl freaked my mom out, when she saw the pictures), as the cake flavored ice cream and the whipped cream flavored swirl together tasted very milky and creamy. 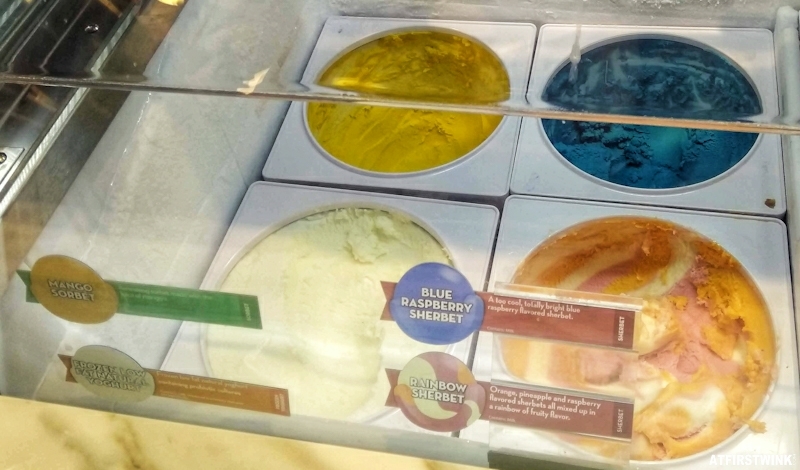 The candies were colored rocks of sugar and they added a crunchy texture to the ice cream. I also liked the strawberry ice cream, which wasn't too sweet or too sour. The Love Potion #31 ice cream was nice, but the white chocolate ice cream was a bit too sweet for me, together with the many chocolates in there. The powdery raspberry flavor also didn't suit my taste. The chocolate hearts filled with a liquid raspberry sauce were a nice surprise though. I think that €4.50 is a bit expensive for only two scoops of ice cream. But the scoops are very generous and if you bring a close friend or your boy/girl friend, you can share a double scoop in an ice cream cup. Just ask for an extra spoon. If it is not too busy, you are also allowed to taste some of the flavors that you are interested in, with the cute, pink, smaller tasting spoons.